Ford Motor Company of Canada announced that last month was its best April in 27 years, with Ford and Lincoln combining for 30,327 vehicles delivered. That total makes for an 11% year-over-year improvement, driven primarily by a total of 25,167 trucks and SUVs sold (up 17.3% year-over-year). With 29,436 Ford-branded vehicles sold, the Blue Oval stood alone as Canada’s preferred brand, selling nearly 9,000 more vehicles than the second-most-popular brand and nearly double that of the third-place brand. Among Ford’s biggest movers were the F-Series, which was up 32% for its best month ever on record. 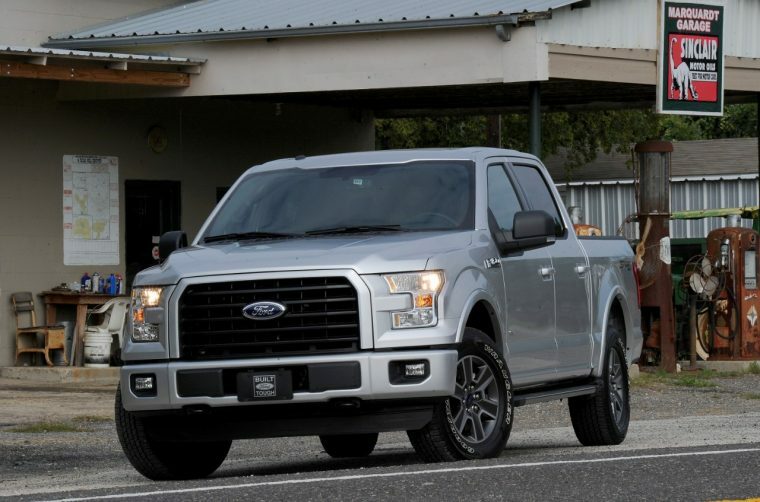 The F-150 also saw its best month ever, up 46% year-over-year. The Edge and Flex both experienced their best April sales on record with respective gains of 12% and 165%, and the C-MAX, Mustang, E-Series, Transit Connect, Explorer, and Expedition all enjoyed double-digit growth. Lincoln sales were up 40.4% at a total of 875 vehicles sold, the brand’s best April since 1988. The MKX, saw its best April ever with a 156% increase, and the MKZ, MKS, and Navigator were all up year-over-year.